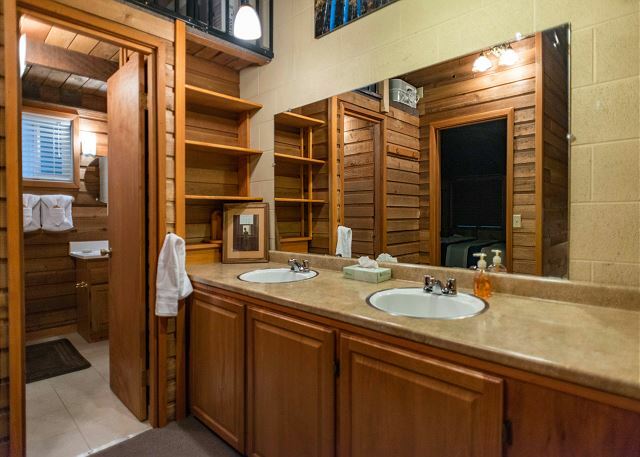 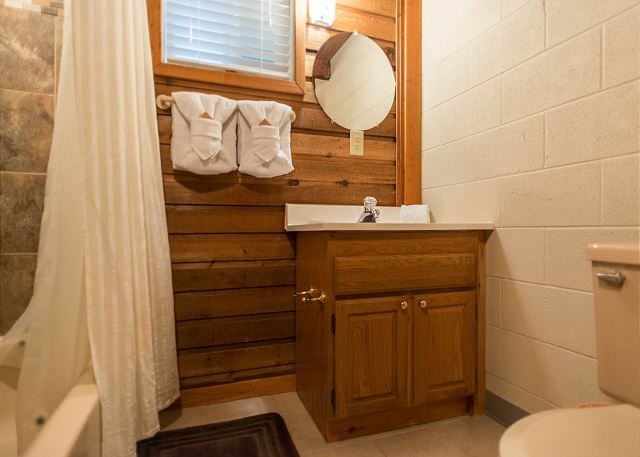 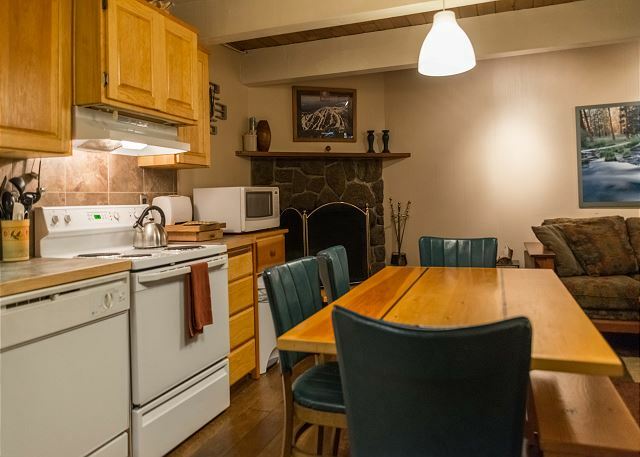 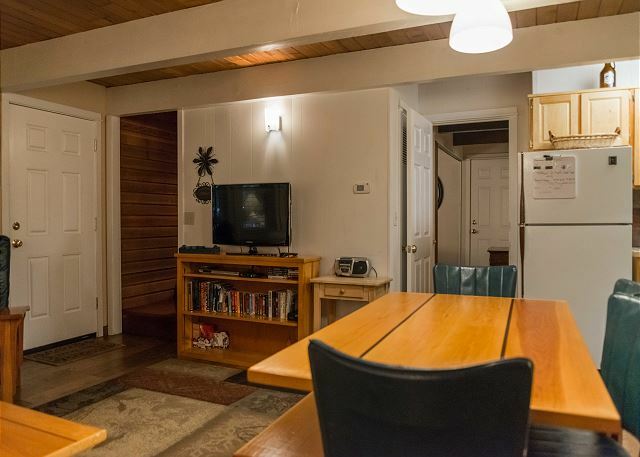 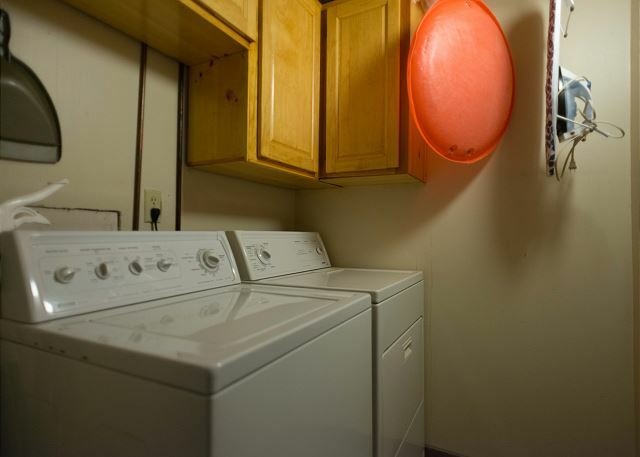 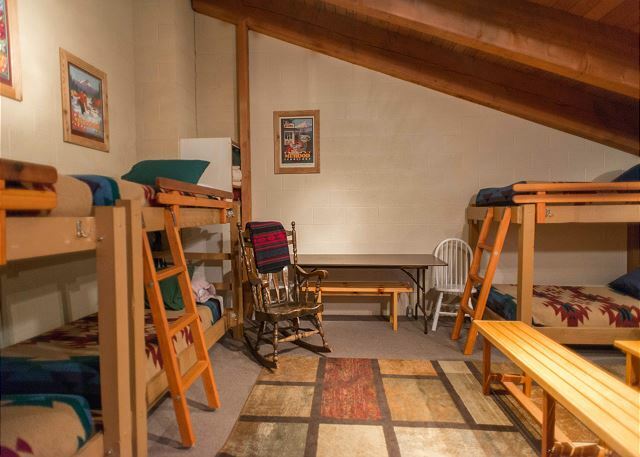 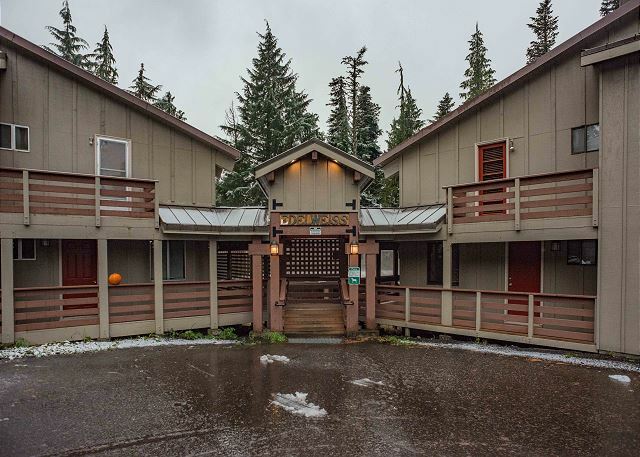 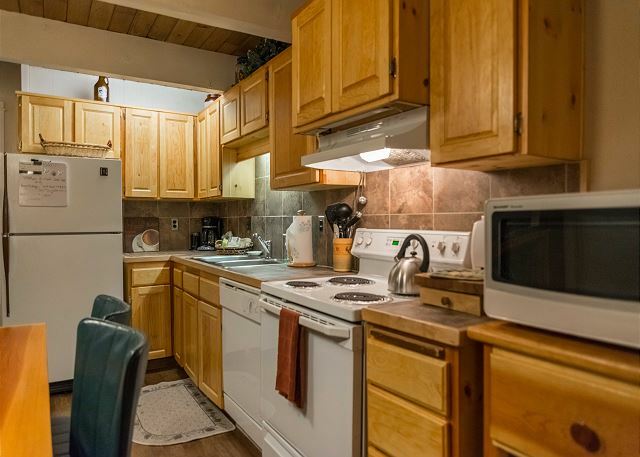 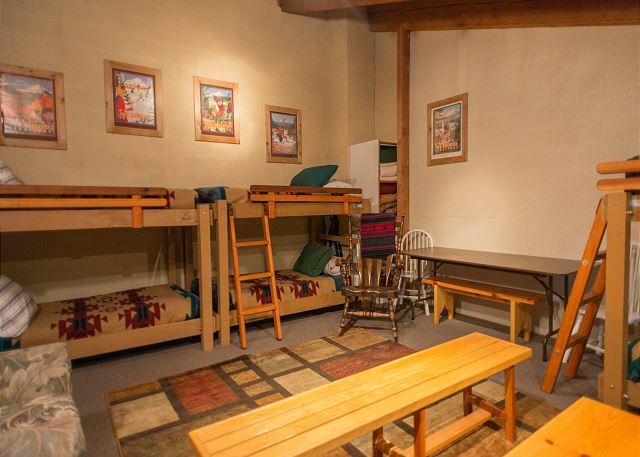 Condo in the heart of Government camp with 3 bedrooms and two baths, wood fireplace, WiFi, and bunk room with 6 twins and large TV. 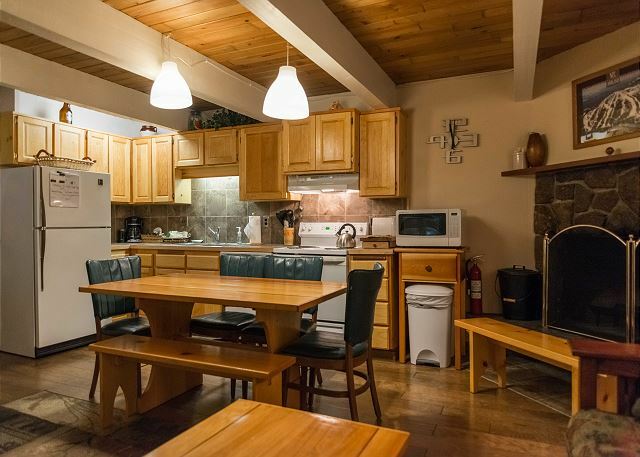 Walk to restaurants, outdoor recreation & nightlife. 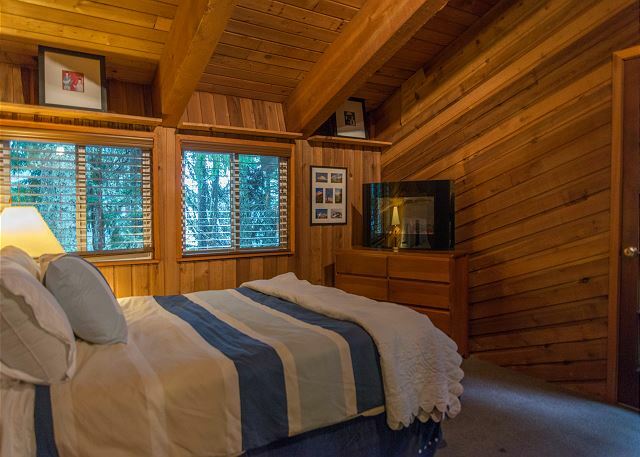 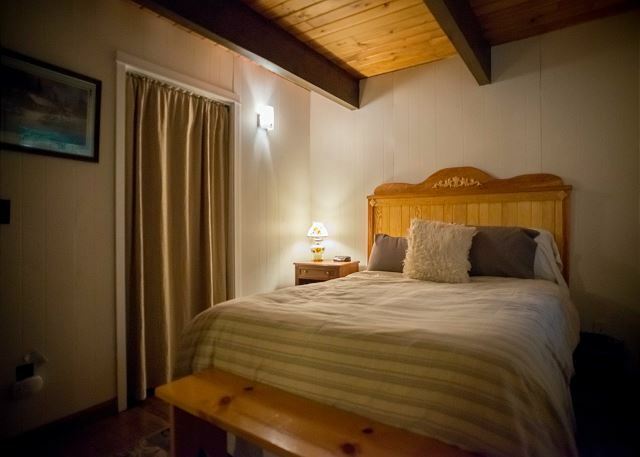 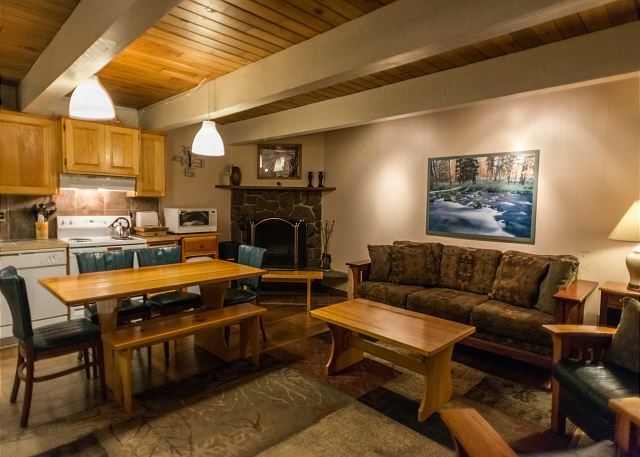 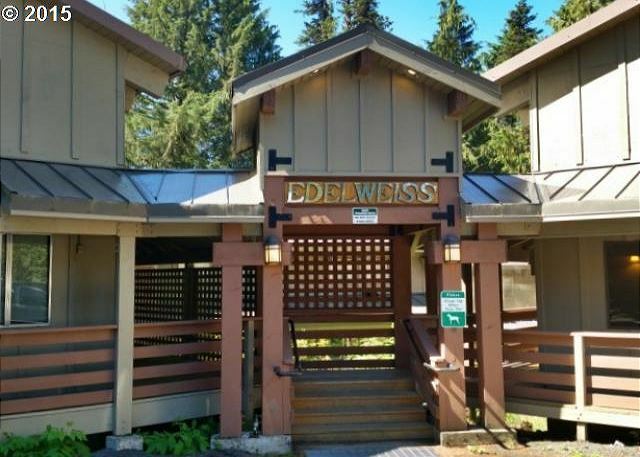 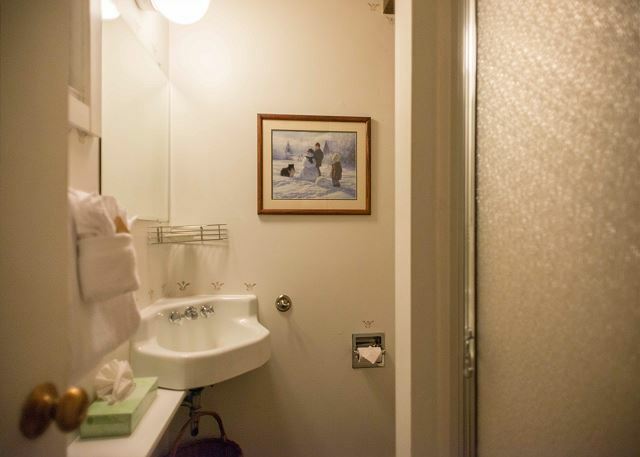 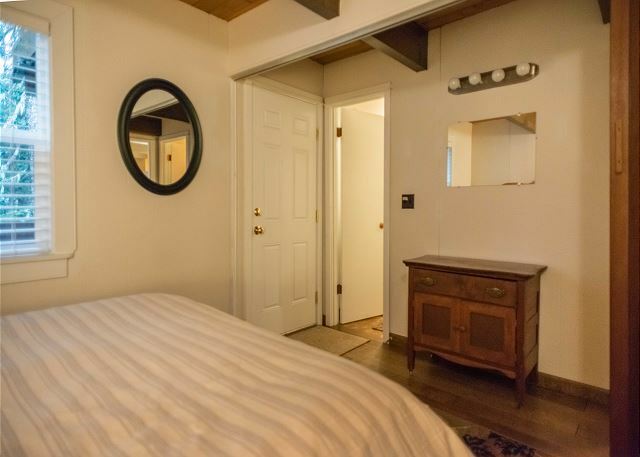 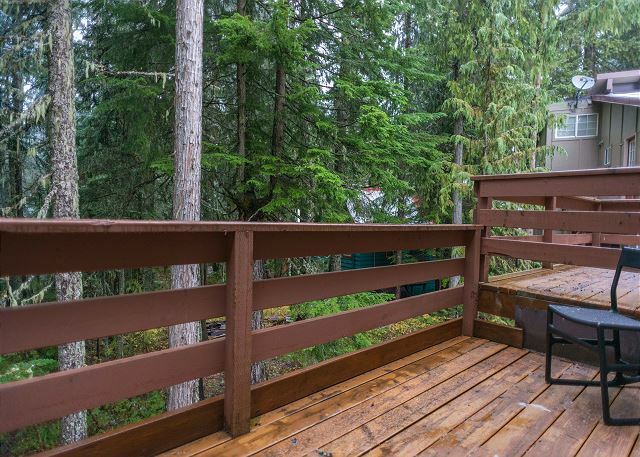 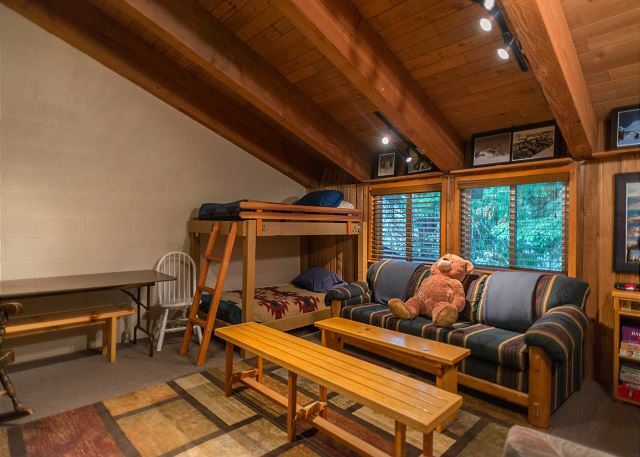 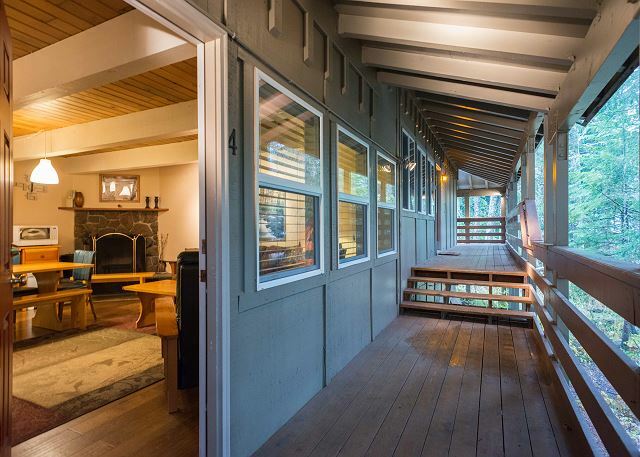 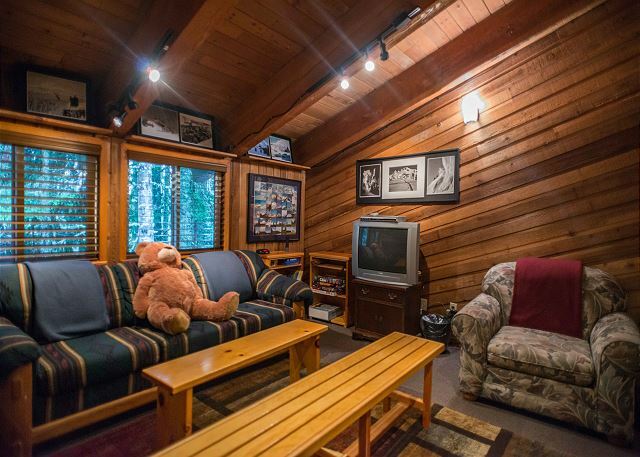 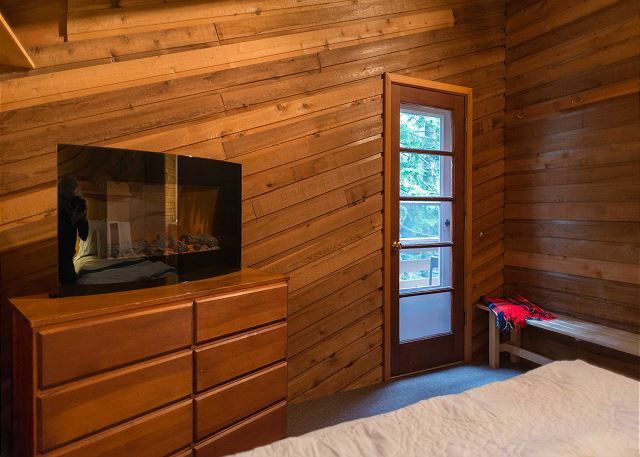 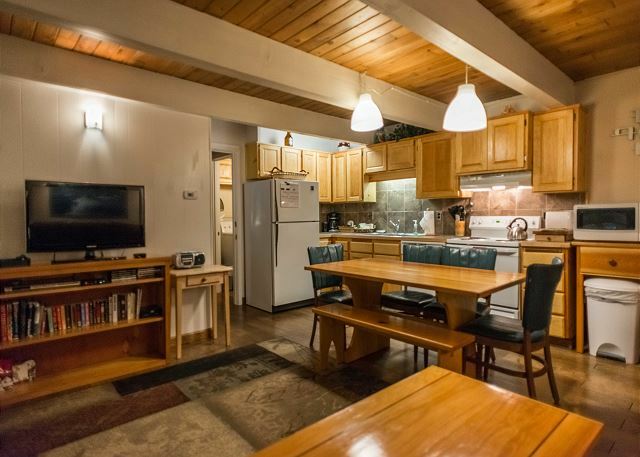 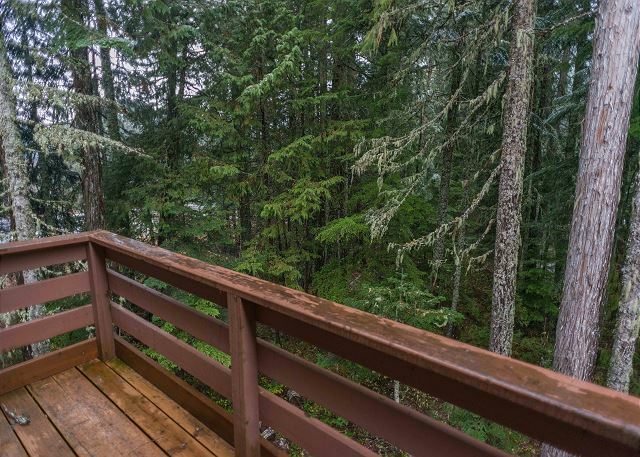 Located in the Edelwiess Condos, # 4 sit's in the woods at back of complex with two outdoor balconies, Queen master suite on main floor and second queen room upstairs and a bunk room with six twins, large TV , table with benches and seating area for 6. 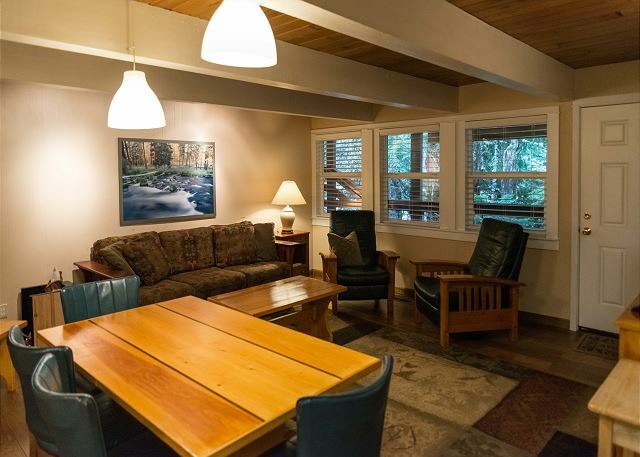 Great location for skiers , snowboarders or just relaxing next to a cozy fire on a snowy afternoon.